Time for another helping of 'heavy metal' at the GCR, who looked after extremely well. 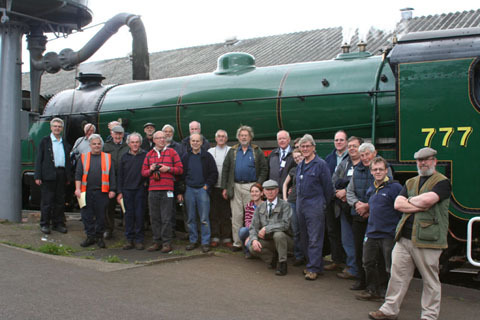 Two dozen (plus a couple of guests) made the journey to Loughborough, with many of the 'regulars' refining their their steam loco driving skills. There was engine shed and signal box tours, and plenty of opportunity to get close up and personal with those wonderful iron steeds. A thoroughly enjoyable day - we will be back for more. 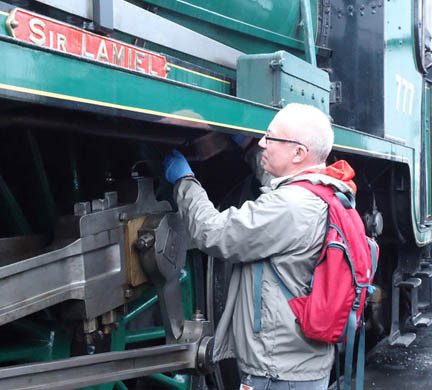 An early start for Tony, who got the job of oiling up Sir Lamiel. 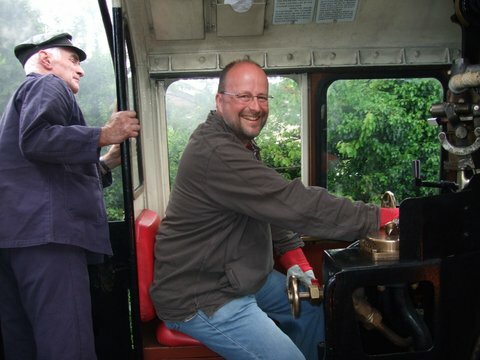 On the footplate of the BR 9F, this was Ben's first time driving a steam locomotive, but judging by his smile it won't be his last! At the end of a great day after 8 round trips from Loughborough Central to Leicester North, members gathered in front of Sir Lamiel which had finished it's last trip arriving back at 4.32pm - exactly as the timetable said! And on to North Norfolk 2105!